This wasn't my normal type of book, as it was really about marriage. But the calamity that was at the heart of the story ~ a 'quack' medical procedure gone wrong ~ was interesting to me: how they got into doing the procedure in the first place, what did (and didn't) happen, and the aftermath ~ was what drew me. That part of the story was well told. The rest of the book was still interesting enough to keep me listening. I was aware that this was fiction, but thought I'd give it a try, but it just didn't grip me. Perhaps it was the set up ~ like a multi-episode podcast investigating a crime ~ was just too contrived for me. On the other hand, I did admire the creativity, and applaud pushing the boundaries of what is expected. Is there a name for this type of literature? It is a collection of short stories that at first seem unrelated, but they are all from one woman's life. Her life is set in Haiti and the USA. Over time, questions from one story are answered in another, filling in the blanks and curiosities. It has opened me to more short story collections in the future. 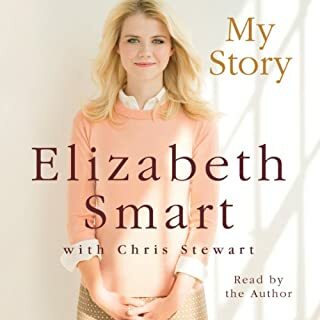 After listening to Elizabeth Smart's own story of her abduction, captivity and rescue (My Story, by Elizabeth Smart), I was curious about the investigation into her disappearance. 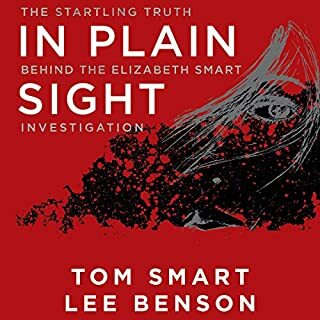 In Plain Sight was written by Elizabeth's uncle, the sometimes family spokesperson who played an active role in the efforts to find his niece. Aside of a little TMI on his own issues, it is quite an interesting story. The efforts to find Elizabeth were remarkable and, it seems, were instrumental in her discovery and rescue. If not for this, she could well have continued to remain hidden in plain sight, if she had survived. Thankfully that is not the case. I might prefer a telling of what happened from someone less involved, but this was a good listen nonetheless. It should definitely be read by anyone else seeking a missing loved one. I remember Elizabeth Smart's abduction when it happened, as well as the startling revelations when she was rescued, that she had spent time on the streets in her home town, behind a veil, controlled by her captors. Elizabeth tells the story of her kidnapping, her captivity and rescue with courage and unapologetic honesty. Its a compelling story, made especially meaningful by the telling in her own voice. 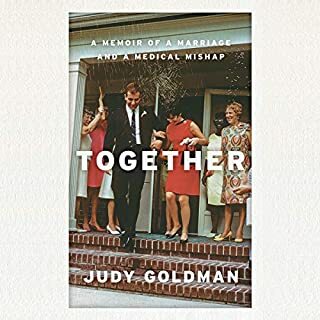 How one moves on after such incredible trauma is fascinating to me. I am endlessly curious about why some crumble and stay in the grips of their trauma, while others ultimately emerge strong, resolute and determined to embrace their second chance at life. The latter certainly describes Elizabeth, and she tells it well. 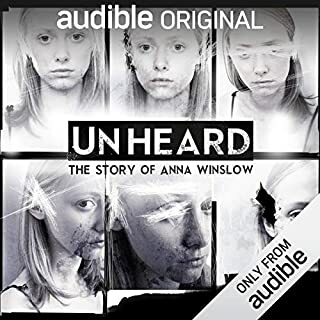 This book surprised me in that it wasn't what I was seeking, but the sample audio clip was so compelling that I had to know the rest of the story. That need was satisfied, but then the book got into research and case studies about habits. It was starting to feel a little bit too textbooky for me (especially the corporate examples), but I'm glad I hung in there, as it got better again. The components of a habit ~ the trigger, the habitual action and the reward ~ were well explained. Don't skip the epilogue, as it has the best example of how to change a habit (very detailed and practical, based on the author cracking the code behind his afternoon cookie habit). 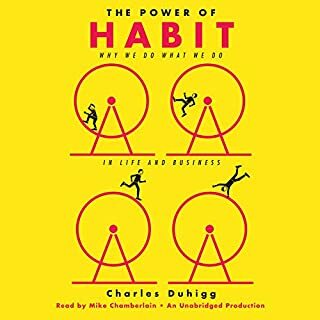 I like the suggestion to study the habits you want to change as an observer, not expecting to overcome them right away. 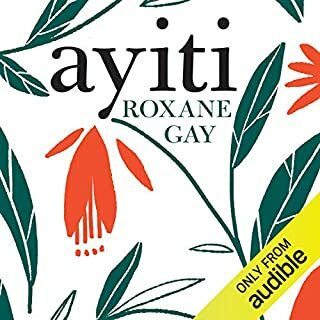 I will probably listen to this book again. From Abby Ellin's first date with the commander, she was caught up in a whirlwind. Within six months, he'd proposed and they'd moved in together. But soon, his exotic stories of international espionage began to unravel. Finally, it all became clear: He was lying about who he was. After leaving him and sharing her story, she was floored to find out that her experience was far from unique. People everywhere, many of them otherwise sharp-witted and self-aware, are being deceived by their loved ones every day. 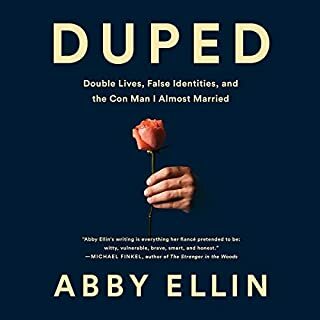 How can a woman be duped? I've always wondered how a woman could be duped by a man living a double life with another spouse/finance/family/life. Could I be duped? Of course, I think I couldn't, but that's what the duped women say too. So, this book satisfied some of that curiosity. Not completely, as the things that swept her off her feet probably wouldn't appeal to me, but that's not the point. The slimebucket figured her out and lied his way into her mind and her heart. I was more interested in her reflections later, when she got out of the relationship, and reflected on the warning signs she ignored. Fascinating stuff. What happened to little Madeleine McCann remains a mystery after all these years. 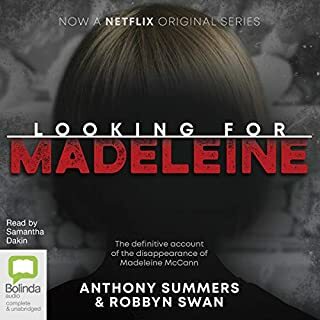 Snatched from bed in the Portugal resort bedroom she shared with her siblings (who slept through the whole thing) while her parents were out for dinner nearby (checking on the children at intervals), Madeleine's disappearance captured the world's attention. I was always curious about aspects of the case, especially after the many bizarre suspicions, sightings and suspects in the news. Without knowing what is or isn't true, I felt this telling of the story was balanced and largely neutral, and put things into perspective. Having said that, there are many more questions than answers, leaving me to wonder if the truth will ever be known. 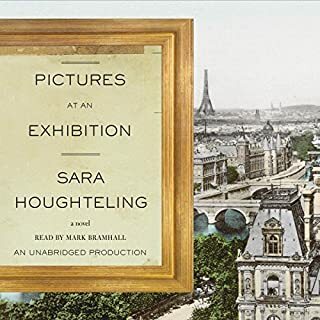 Set in a Paris darkened by World War II, Sara Houghteling's sweeping and sensuous debut novel tells the story of a son's quest to recover his family's lost masterpieces, looted by the Nazis during the occupation. Born to an art dealer and his pianist wife, Max Berenzon is forbidden from entering the family business for reasons he cannot understand. He reluctantly attends medical school, reserving his true passion for his father's beautiful and brilliant gallery assistant, Rose Clement. I really enjoyed this book, and my only complaint was that it wasn't longer. 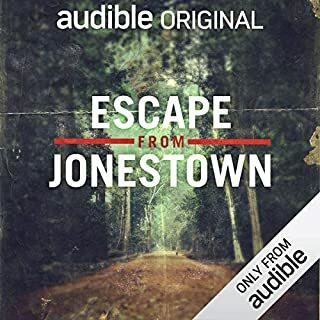 Set in Paris on the heels of World War II, the story provides unique insights on what the city was like at the time when concentration camp horrors were just coming to light, and those who had gone underground for years were reemerging. Who had survived and who hadn't was still unknown. Owners were returning to the homes they fled only to find them occupied, abandoned after serving as Nazi facilities, or destroyed. I haven't encountered many books that captured this time so well. It is against this setting that the story is set. The son of an art dealer scours the city, looking for works that had belonged to his family, unearthing forgeries and family secrets as he goes. And, yes, re-finding his lost love and slowly learning of the lengths she went to save great works of art, disguised as an obedient clerk in the Louvre. A great listen for art and history fans.